Quite simply creating a place where you come and enjoy great food and drink in relaxing and comfortable surroundings is and always has been our aim. 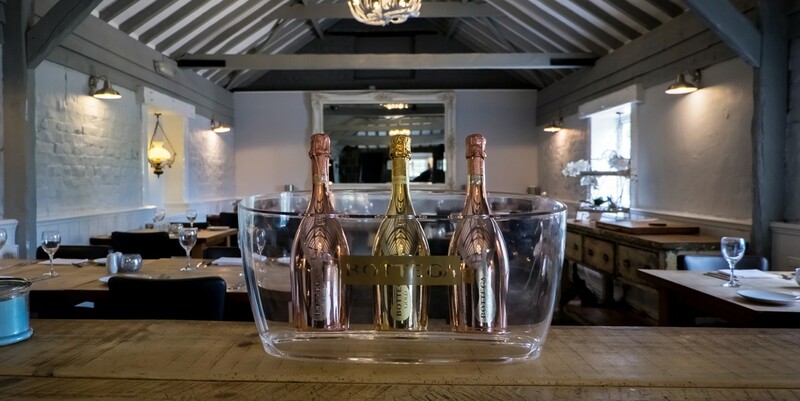 Scrub-top tables, flagstone and wooden floors provide a relaxed and convivial environment for dining in the casual bar and barn dining room areas while our gardens and terrace are perfect for Summer alfresco dining. It’s all about the food…We don’t count how many calories are in a dish but we will spend a lot of time trying to get the best out of the ingredients. For head chef and Maitre ‘d (Daniel & Camilla), it’s all about creating dishes that put a smile on your face served by a team with a smile on theirs! Unfussy, clean & simple dishes all prepared entirely from fresh local produce is what you may expect. Indeed, our restaurant provides truly fantastic food, cooked exceptionally well and priced affordably to ensure everyone can enjoy our delicious dishes cooked with enthusiasm. In addition to baking all our own breads, making our own marmalades and jams and ice creams, our kitchen team source virtually all their ingredients locally. And very importantly we are careful to be able to accommodate most dietary requirements too including vegetarian and vegan. Whether you’re joining us for breakfast, a coffee and slice of cake in the morning, or it’s lunch or dinner from our main menu, you can be sure to be served the freshest of food, in a very relaxed and comfortable environment . The little ones will love it too as head chef will look after them with his junior menu. Booking is always advisable via our dedicated “book-a-table” button above.